Having completed his residency at The Penn State Medical Center Dr. O'Shea joined West Reading Radiology Associates in July of 2004. Dr. O'Shea currently serves as CT Modality Chief for Reading Health System, a position he was first appointed to in 2008. 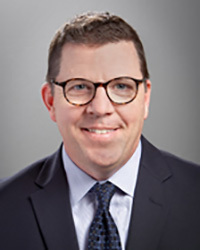 During his tenure as CT Modality Chief, Dr. O'Shea has overseen the ACR accreditation of the Reading Health Systems CT units as well as the implementation of the ACR's Image Gently and Image Wisely initiatives designed to minimize radiation exposure in the pediatric and adult patient populations respectively. Dr. O'Shea was also instrumental in the development and implementation of the Reading Health System's successful Lung Cancer Screening Program. Dr. O'Shea has served on the West Reading Radiology Associates Board of Directors since 2010.